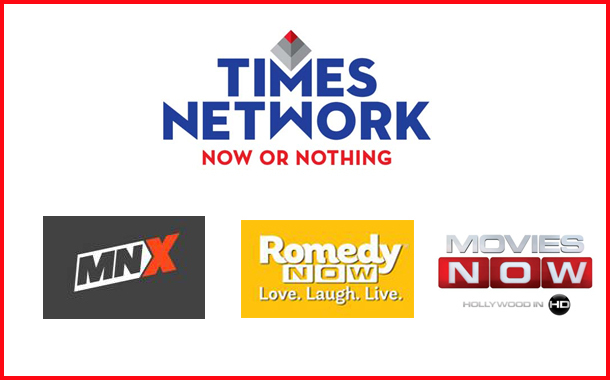 Mumbai : Celebrating the spirit of this festive season, Times Network’s English Entertainment channels, Movies Now, Romedy Now and MNX, has curated a programming line-up providing entertainment to its viewers till November 8, 2018. Kick starting the Dussehra celebrations, under the theme, ‘Good over Evil’, all the three channels have designed a special content which will be aired at 9pm everyday till October 19, 2018. Movies Now will air blockbuster movies like The Dark Knight, Gladiator, Iron Man 3, Spectre and more under its property ‘10 Faces of Evil’. Romedy Now, with the property, ‘Love Conquests’, will showcase how love triumphs over all in life through a line-up of heart-warming movies which includes Racing Hearts, Before Sunrise, No Reservations, You’ve Got A Mail. ‘X-Terminator’ by MNX is curated to exterminate the sins from our lives and will showcase movies with a similar theme will feature movies like Wrath of Titans, Species, Hobbit, End of Days, Child’s Play and more. Festive season special line up on Movies Now, Romedy Now and MNX will air from 9th to 19th October and 22nd October to 8th November 2018 at 9pm respectively.